As unique as it is funny and punny - this is the game for you! Get down with the newest match-3 puzzle sensation!Disco Bees is the fun and exciting new way to play match-3 puzzle games. Switch and match the colorful bees in “the hive”, our unique honeycomb shaped board. Unlock wild new... see more As unique as it is funny and punny - this is the game for you! Get down with the newest match-3 puzzle sensation! 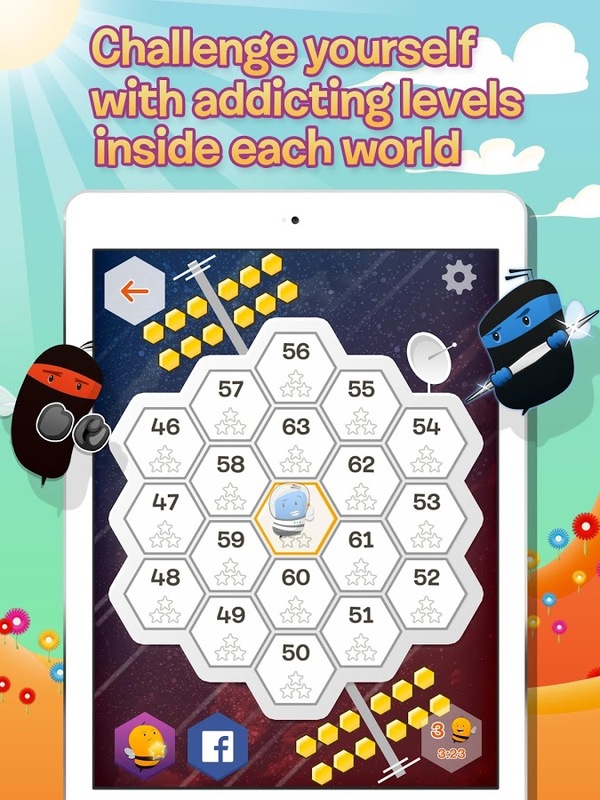 Disco Bees is the fun and exciting new way to play match-3 puzzle games. Switch and match the colorful bees in “the hive”, our unique honeycomb shaped board. Unlock wild new locations and puzzles to test your skills! 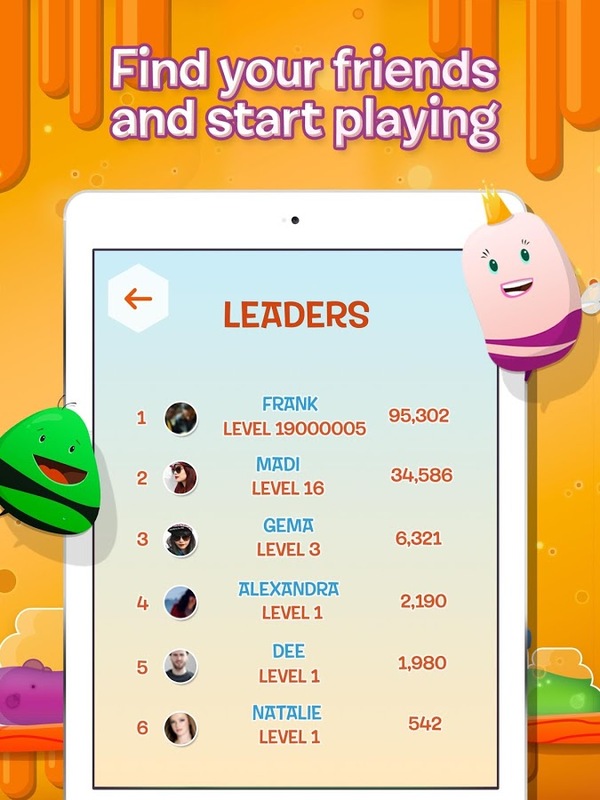 - Fly through dozens of colorful and crazy levels. Yes, bees do live in space! - Fun and easy to learn, but an entertaining challenge to master. - Kids, parents, grandparents and everyone in between loves to play! - Never get bored – we’re adding new levels and fun all the time! - Bees in outer space doing the Waggle Dance? You know you need to join in! - Awesome original disco music brought to you by Andy Ross of the band OK Go. Warning: You will BEE inundated with un-matched BEEautiful, BEEwitching bee puns. If you’re afraid of laughing and having too much fun then this is not the game for you! A big “thank you” to all the dedicated Disco Bees fans! Disco Bees is the newest game from developer SpaceInch, which, in collaboration with the band OK Go, created Say the Same Thing, and the hit game Make it Rain. 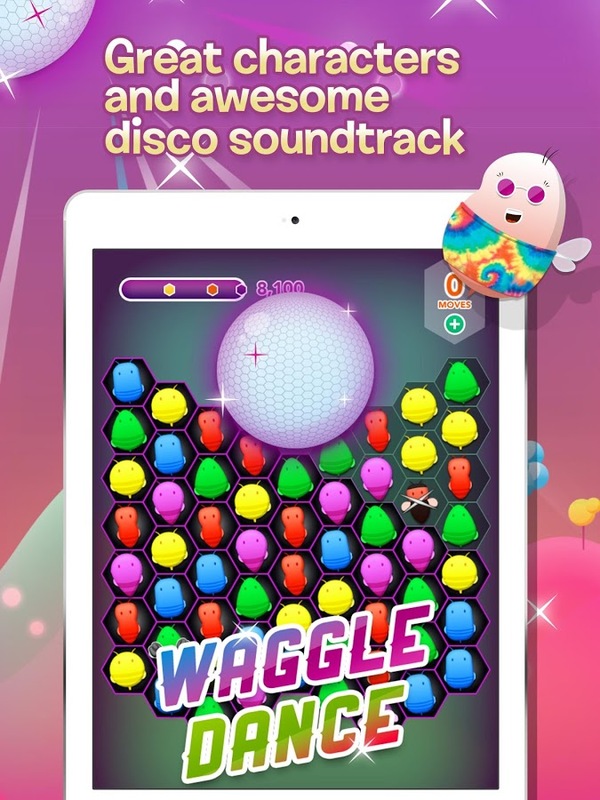 Note: Disco Bees is free to play but does offer in-app purchases of various kinds. You can disable in-app purchases by going to the Google Play app on your device, tapping the Menu button, selecting Settings > Use password to restrict purchases.